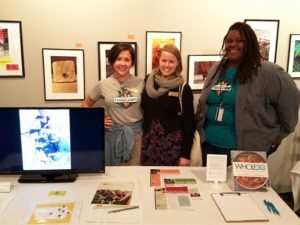 At last week’s Wellness Wednesday screening of That Sugar Film, nearly 100 people turned out to the Varsity Theater to share in this Des Moines debut. The event was made even better thanks to our community partners. Fresh Cafe and Market, with Kerri Rush at the helm, provided incredible sugar-free snacks in the lobby, including kale chips, fruit-infused lemonade, date energy balls and fresh vegetables. 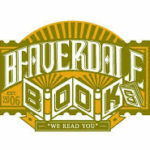 Beaverdale Books was also onsite, selling copies of the companion guide, That Sugar Book, to accompany the film’s message. 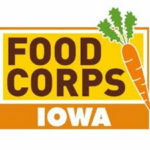 FoodCorps Iowa was present with several service members from Greater Des Moines. They shared their stories of educating children in our public schools about healthy food choices and how to grow fresh produce in their school gardens. Proceeds of the evening and from a portion of Beaverdale Books’ sales went to support this impactful organization. With the sugary holiday of Halloween in our midst, we knew that hosting a movie called That Sugar Film may deliver a less-than-welcome message. At this point in the year, many people are just beginning a love affair with sugar — first with Halloween, then with Thanksgiving and Christmas, rolling right into winter potlucks and family gatherings where desserts take center stage. But many attendees commented that they found the film encouraging and eye-opening. If you’d like to learn more about the various, sometimes stealthy, names of sugar, check out our comprehensive Sugar List. Print it out, share it with friends. Be on the lookout for sugars of all kinds as we step into a very saccharine season. And, of course, if you have any questions, please call us at the clinic at 515-421-4018.